Where do I start ? I’ve got tons of disorganized random thoughts swirling on my mind right now. But I finally figured out how to make sense of them….. make them current. That’s right. So to start off and without much further ado….. Yesterday, Pres. 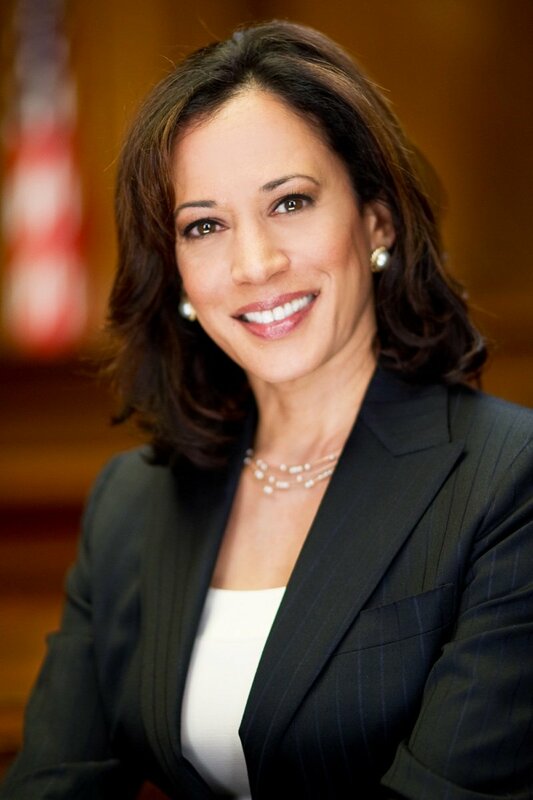 Obama complimented California’s attorney general, Kamala Harris, for her good looks. But that was after saying nice things about her brilliant work as an attorney-general. .There was an ” uproar” among feminists. Oh, from just a few critics but boy, were they loud. They said it was sexist and inappropriate. C’mon. It was said at a fund raising event where jokes were tossed around and bandied about among friends and allies. I’ve always been with you , sisters, but not this time. Your outrage is silly and over the top, and it makes you look like some bitter Ms. goody two shoes with this holier than thou attitude. It’s nasty and it won’t advance your cause. Thank goodness this is just a one-day wonder. Lighten up, ladies. The glass ceiling is going to finally break in 2016. . Save your energy. The fight is about to commence. Who’s with me? 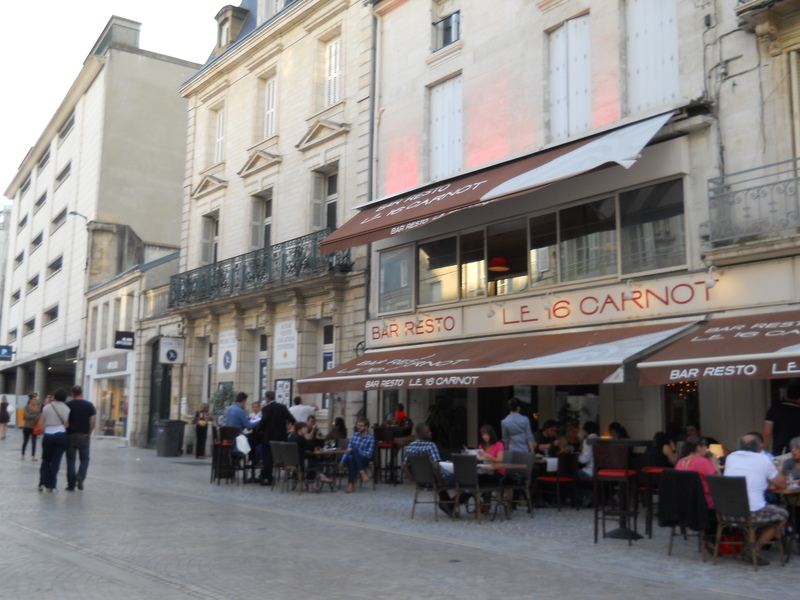 Enough of my chitty chatty and let’s get down to the nitty gritty……my trip to France. 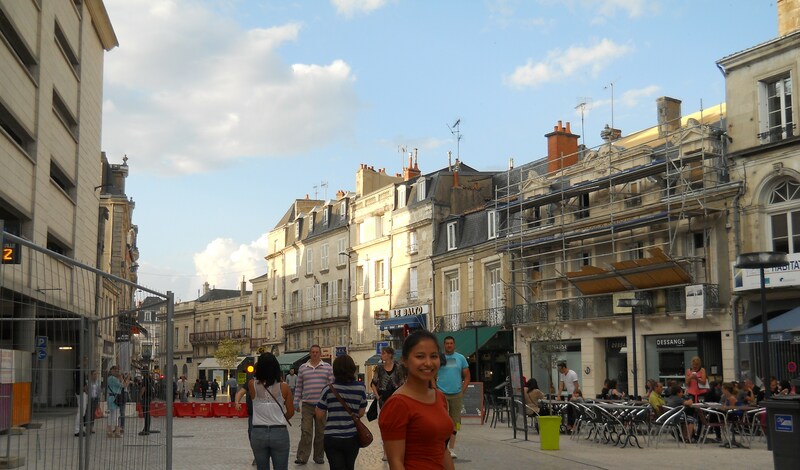 Here’s my problem though…… I forgot the name of the first French town we visited and stayed the night in. ( 6__6) I remember the hotel was Ibis. 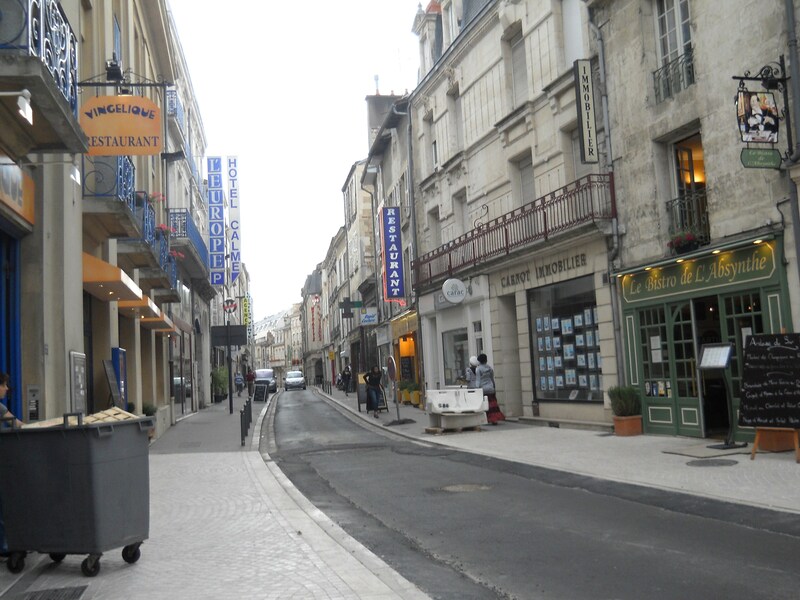 So , any one from France who gets to read this, can you please tell me what town this is? 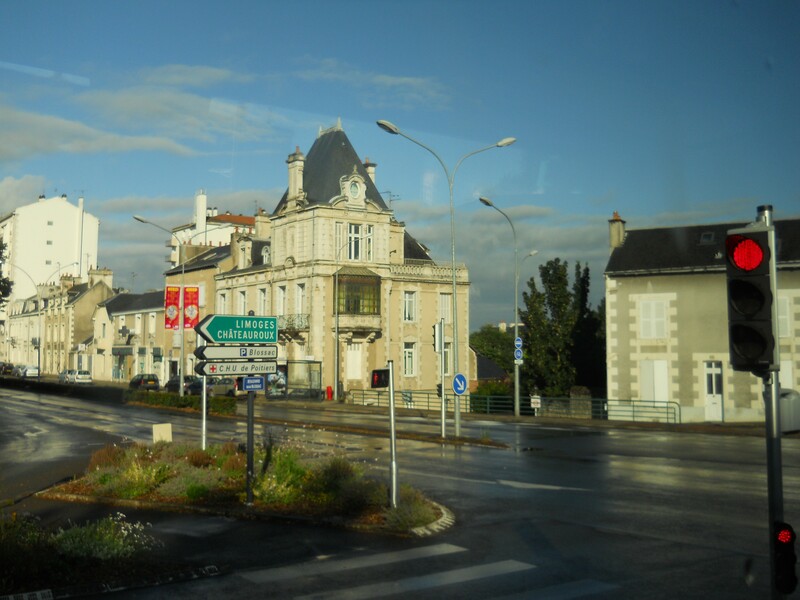 It’s a small, charming postcard pretty town, and the street sign here says , Limoges Chateuroux, Bessac, CHU de Poitiers. 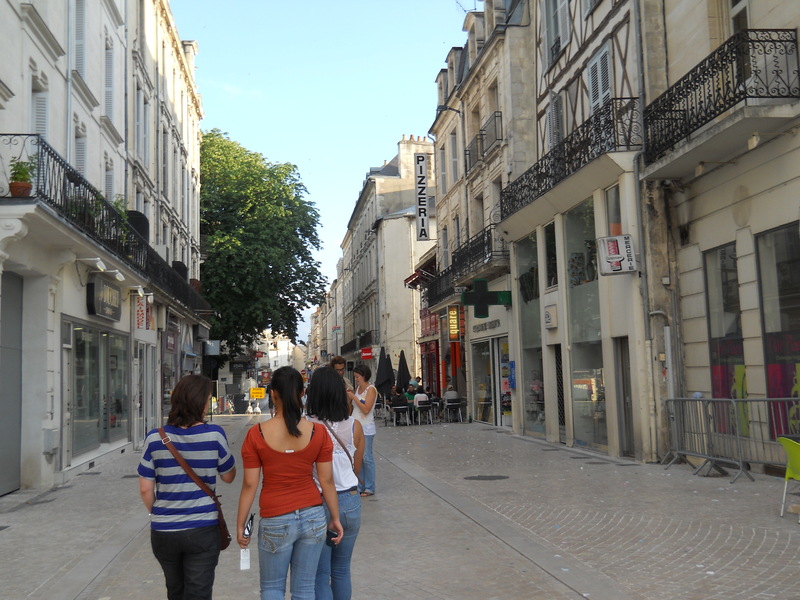 Could it be Poitiers, France? I’m not sure. .The photo is blurry…. posted this just to show you we had coffee at the public square or esplanade. There was no guided tour of the town. 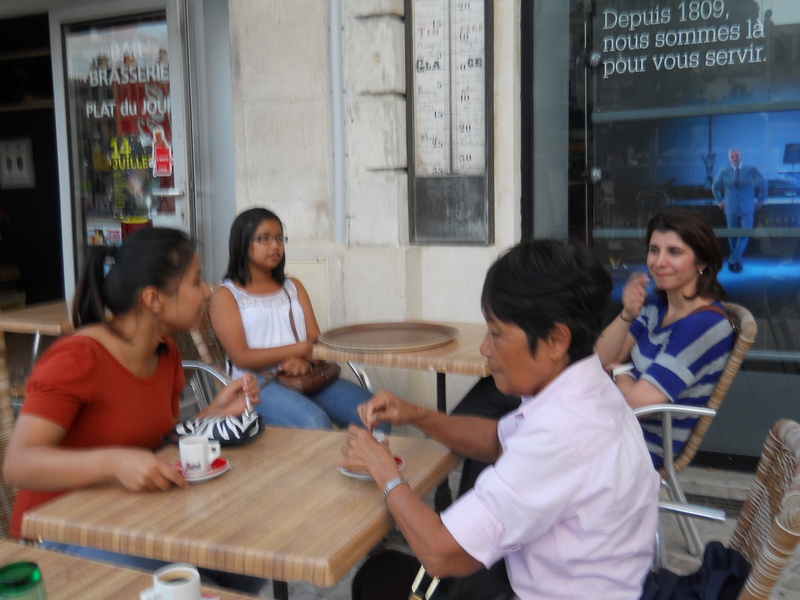 We just walked around within the vicinity of the hotel, had coffee and cakes and people watched. 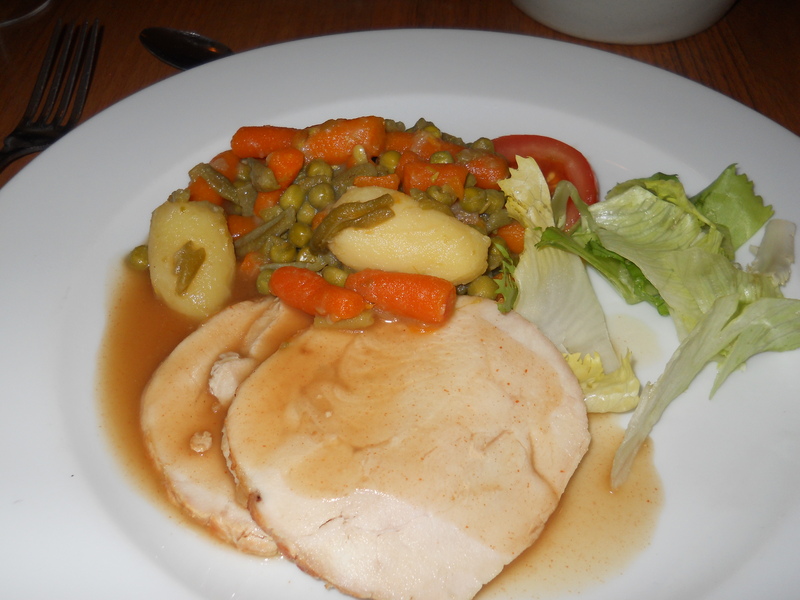 .Turkey meat with delicious gravy…..
Well, this is it for now. 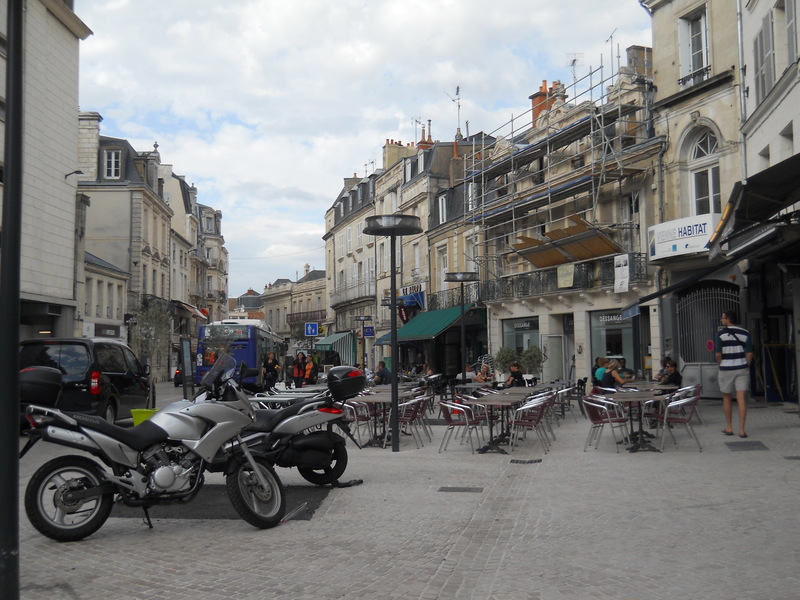 Amboise and Bordeux, France are next. Bonne journee. La paix. Au revoir. Amd by the way, is your journey of love done ? It’s so interesting ! ! Can’t wait to read it. I’m like reading a love story. I think I’m fangirling, nepaaustralian, lol ! Countingducks, I was not able to take more photos of this town. We didn’t have a guide, so we just walked around aimlessly until dinner time. I think we went there just to sleep. Anyway, the town was charming. Right. If I compliment a lady, technically speaking, how’s that sexist and inappropriate ? Talking about Hillary, I feel she lacks charm. Decent lady, knows her job especially very good with foreign affairs but hmm! You’d need a thick skin to do that, TWWK. It was awful. It made me cry. I thought the meaness was unjustified. It made me angry. I didn’t like that my thoughts were muzzled. Did I just address you as TWWK ? (6_6) Sheesh. It was hard to force myself to be nice… politics of addition, if you know what I mean. Either I walk away, or debate til kingdom come. TWWK is another blogger. Hahaha. Aaargh. this is not the first time, you know. I’m a scatter-brained gal. It can get quite embarassing. Loved your story in the beginning! 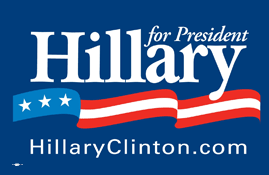 My mom has been saying that she’s voting for Hillary if she runs in 2016 (and I assume I will too)! 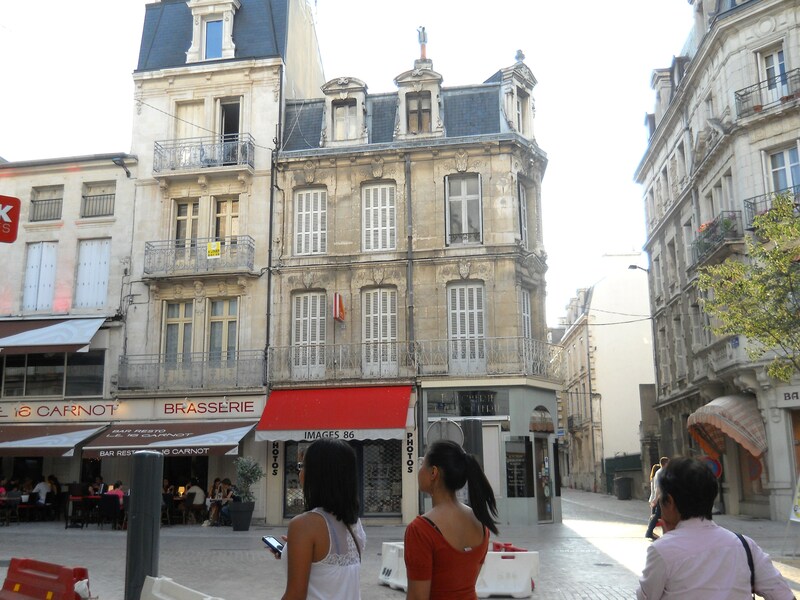 :p Loved your France pictures, I wish I could do back! I know right? They are just being nitpicky. It’s always nice to hear such words once in a while. I really hope she runs , Ms. fae. I think the country’s ready for a woman president. I’m with you! We sure are! yay ! So many cracks on the grass ceiling already. Interesting post 🙂 Hopefully Hillary runs again. Not only would that be good for our country, it would be amazing for all women around the world. We need this. And yup. We’re ready for a woman president. Hillary’s more than qualified. Cheers, Odette, and thanks for visiting. I am now hungry…. for food and travel! I’m wondering if you eat your meals at the hotel restaurants, Mr. Hook. * waves * Hi there, 25pesocupnoodles ! By the way, that’s an expensive cup of noodles. ramen? waving back. yeah, but it’s free for ur very sweet smile (bolero mode on), haha. ha ! That’s my award winning smile… “Best Smile ” in HS. Looking forward to some real girl power and hope that the debate doesn’t drown in whether or not it’s inappropriate to compliment someone (girl or guy) for their good looks. Hillary for president! It will be such an exciting milestone for women… to have a woman as Commander in chief ! ! Ugh ! I hope she runs. But I think so… we’re already getting tons of emails from S-Pac. A woman Commander in chief …. history in the making, don’t you think so? Lovely pictures! Waiting for more. Thanks, Dilip ! Cheers to you, too ! Loved how a place and its architecture ultimately boils down to the cuisine on offer. How do you see this linkage? , at least, I have not really thought about it. My wife is a feminist,powerfully so and as a male that has been a wonderful gift to me and so much of what she is has liberated me. The reaction to what Pres. Obama said, is as you say, just plain over the top. I’m afraid it becomes downright ludicrous, even embarrassing and certainly doesn’t further the cause of women. Glad you felt the way you did. I suppose though the reaction has to be interpreted within all the crap women have had to put up with, but hell, lets get some perspective. I thought they were just being nitpicky. 2 days after, the issue’s gone. If there weren’t any other issues, like the No0rth Korean ‘s nuclear threat, and gun issues, immigration issues, Syria, Iran, and sequester, etc, etc, etc, maybe this good looking issue would make a lot of sense. Does ” looks” matter in politics? I agree, the hoopla over Obama’s remarks on Kamala Harris seemed way overblown (I mean seriously, getting upset about giving a woman too many compliments)… but on the flip side, it certainly gave her name recognition a big boost, which will be helpful if she decides on bigger political offices. Thanks for sharing the awesome pics, and the food looked delicious!! Awesome Pics 😀 seems like you had soo fun 🙂 . Thanks, parth893. It was so much fun, indeed. Cheers ! Is that a chocolate ice cream? The picture after the turkey meat.? 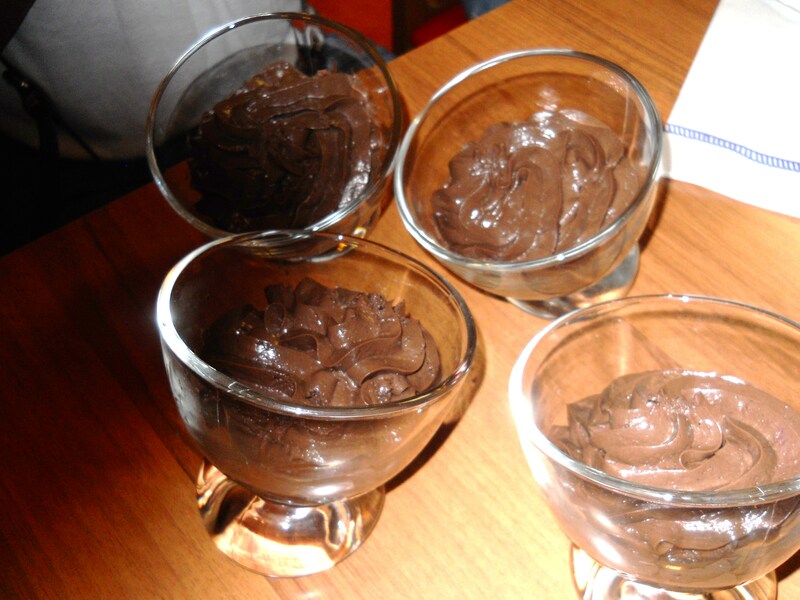 Chocolate mousse. My mom gave me her share ( she can’t have sugar ), and I think my cousin gave hers to me, too. I don’t remember eating all 3 cups, though. No wait, I think I did. I was such a pig. Loved your political commentary in the begining of post. I think people have failed to appreciate the wit and humour that the compliment was all about. Pity. 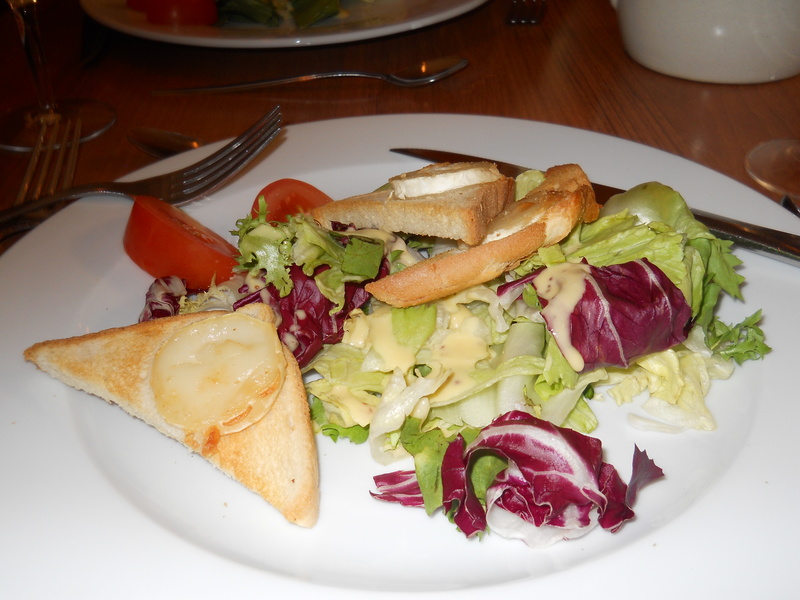 veggies were always served, without fail. Pastas had no meat in it. Win. Pizzas had barely any meat in it. You can pick out the meat and discard it. For a carnivorous person like me, it drove me up the wall. They were so stingy with the portions. Ha ! i wish I knew French ! It was indeed a nice place. That was the central town. At the moment, it looks like a dream to me, too. I even forgot the name of the place, ha ha. Cheers ! I reckon it’s ridiculous that feminists won’t allow a man to compliment a woman’s fine appearance – TOTALLY ridiculous. Your posts are SO packed, Renxkyoko – PACKED. Aaaargh, Noeleen, the photos are so amatuerish ! ! Ha ha ha ! Sometimes I think i do not say enough to you to let you know how much I really appreciate your visits! You are always a blessing with them and you even comment a lot more…its really great. I love the pictures you always share from your trips, the architecture is always wonderful! And the food always looks so good it makes me hungry. Will have about 4 books of poetry coming out over the next 2 months, they have been in the works for a while, and i will let you know! God bless you my sister and have a wonderful Sunday! Thank you ! Even your comments sound poetic to me. I seldom write comments on your blog. What else can I add to those beautiful words ? I can only nod and be in awe . Hey, such an interesting perspective on US politics which I am alien to. Very insightful and love the pics. I hope it’s really insightful, ha ha. I’m just being chatty. Thanks for dropping by, vishalbheeroo. I’ll be dropping by your site soon. she is, isn’t she? I do understand the views of those who were annoyed. They are now asking, does looks matter in politics? It’s a valid question. It will matter if Hillary runs. they will see wrinkles. Loved seeing the first photo with directions to Limoges, where I was born. 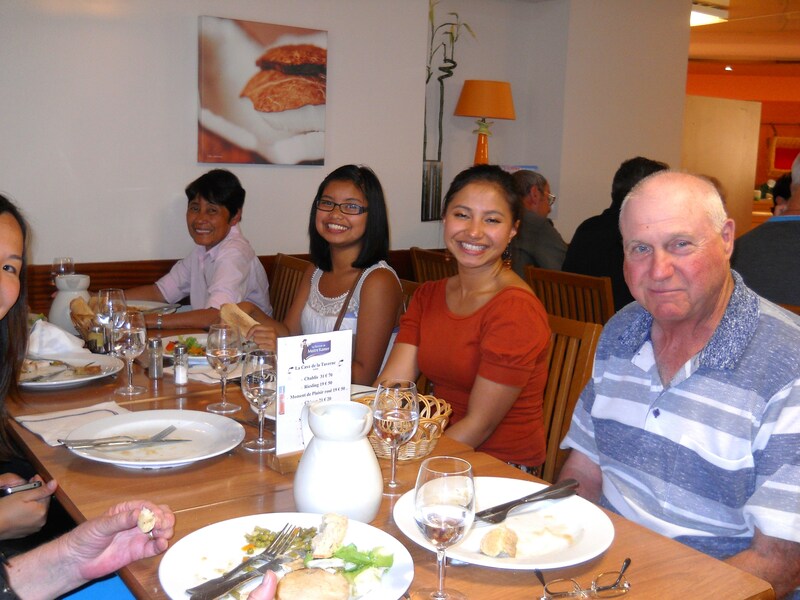 Great shots, and hope you had a wonderful time in la belle France! Oh, wow ! You were born there? 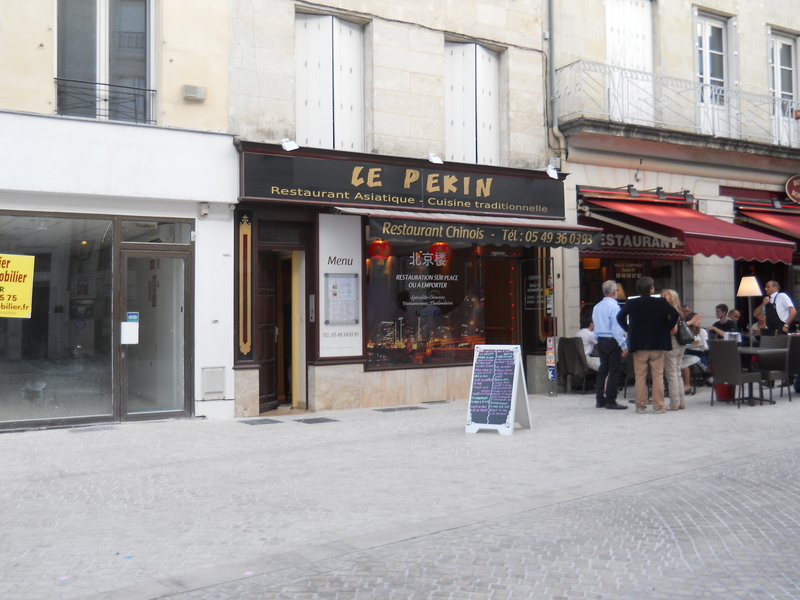 So, is the town Poitiers ? I just guessed. Thanks for passing by, artclublog ! Cheers ! Hi Ren, looks like you had a good time. Sorry this comment is a bit late but things have been rather busy lately. 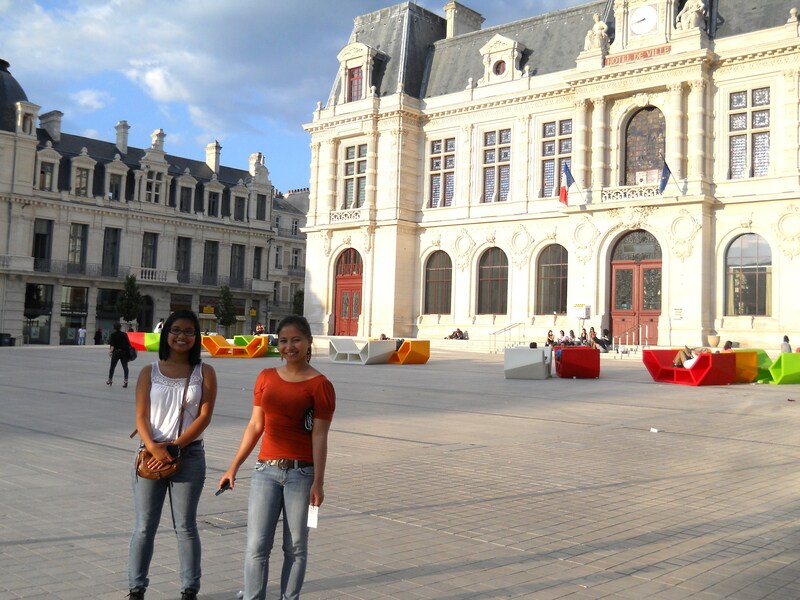 I’ve only been to France once and that was when I was nine, so long ago I don’t remember anything about it LOL. better late than nevah, * smile * . Thanks , James ! Cheers !